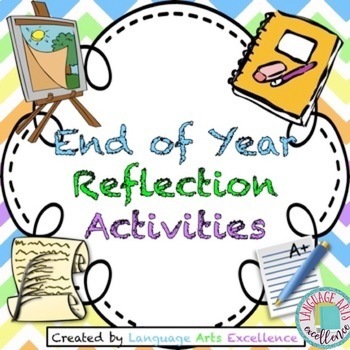 Self-reflection is so important for students of all ages and what better time to reflect on learning than at the end of the school year? 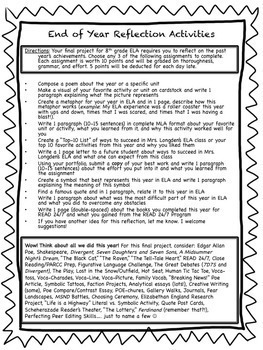 With that in mind, I created this end of year reflection assignment that prompts students to consider all of the meaningful experiences they had all year in my class. My students really get into this assignment and I'm sure yours will too! I've included in this product a model of my assignment and a fully editable template for you - it will only take a few minutes to tweak it and make it your own. 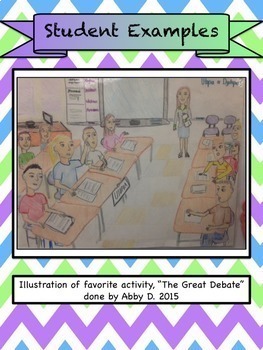 Your students will thank you for offering this differentiated assessment! I also included three exemplary student examples.